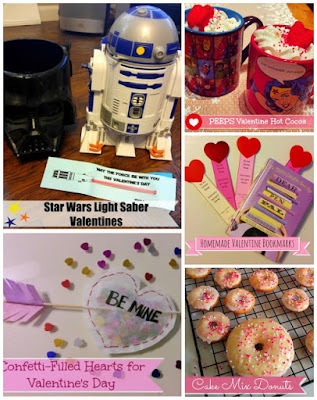 One Momma Saving Money: My DIY Valentine Round-up! #Recipes, #Crafts and more! 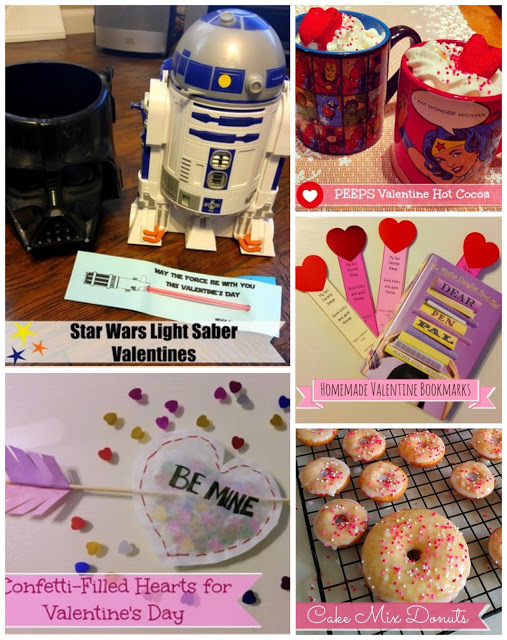 My DIY Valentine Round-up! #Recipes, #Crafts and more! Want some creative Valentine card ideas? Check out these fun ideas I came up with! 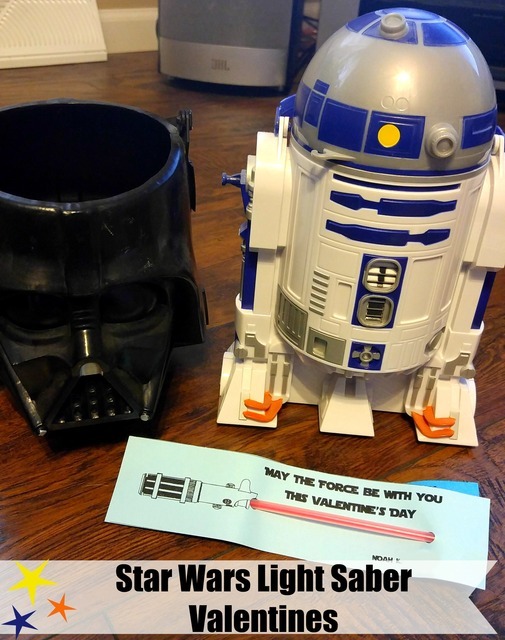 Star Wars Light Saber Valentine! The Force Awakens is all the rage with big and little boys. My son wanted a Star Wars themed Valentine this year and since I make them every year, I had to oblige! These are super fun and frugal! 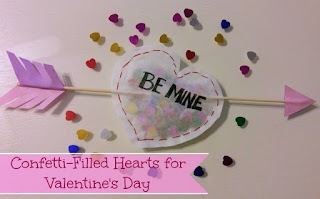 This Valentine's day go the candy free route and make some super cute Valentines that are sure to stand out! Go here for full instructions! If you would like to go candy-free for Valentine’s Day this year, today’s idea for printable Valentine bookmarks is perfect for you. 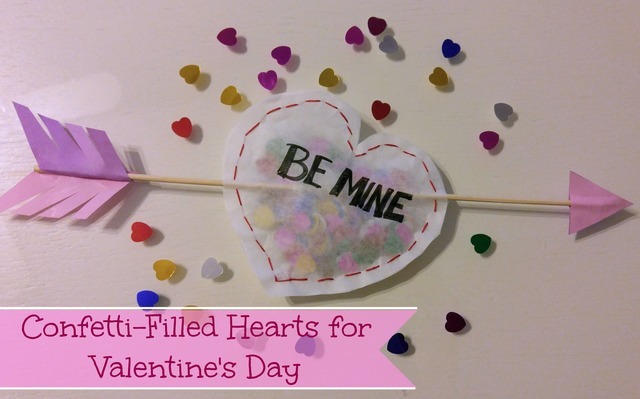 Cute free printable sheet of bookmarks, fun red hearts and just a few minute’s time, you’ll have some fun and functional Valentines for your child's class. 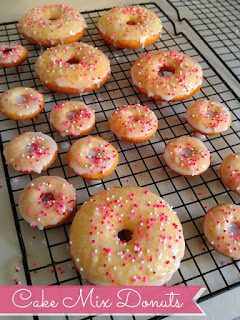 Donuts are a yummy treat, but when you buy them at the store they are covered with thick frostings, sugar and usually deep fried. 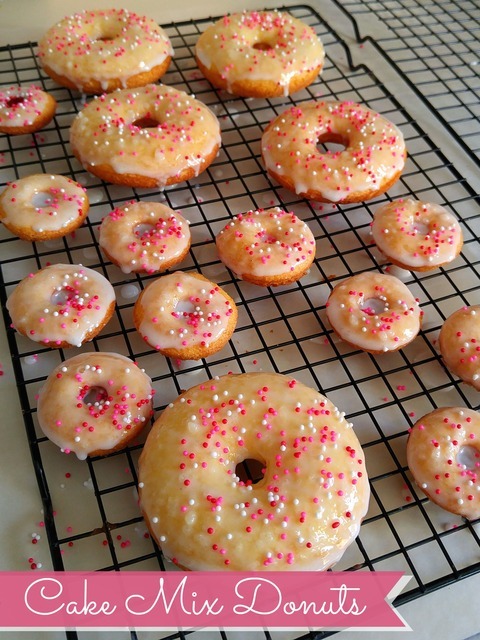 To help cut the sugar content and the deep fried aspect, I opted to make baked cake donuts that use Aquaball flavored waters to help sweeten the donut and give it a light yummy flavor! Why not show your kiddos how much you love them with a PEEPS inspired cup of Valentine Hot Cocoa. It is so cold outside, it is perfect to curl up with your littles and watch a movie and enjoy a nice cup of cocoa! 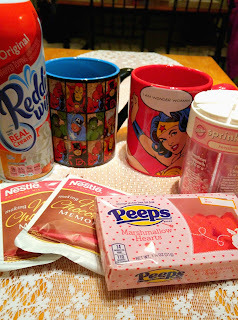 Pour cocoa packet into mug and fill 2/3 full with boiled water. Mix well and then add milk. This gives it a richer flavor and helps cool the temp as well. 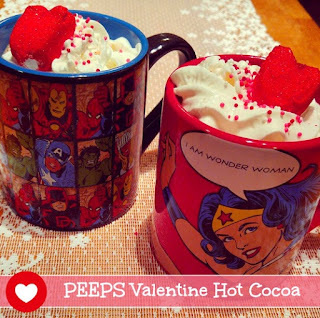 Squirt as much whipped topping on it as you want, add sprinkles and then a PEEPS Marshmallow Heart.